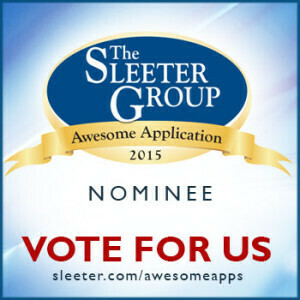 We’re thrilled to announce that we’ve been nominated as one of the apps that are competing in The Sleeter Group’s Awesome Apps Awards! This is fantastic recognition of how far LivePlan has come and we couldn’t have done it without the over 250,000 entrepreneurs and small businesses that have used LivePlan to start and grow their businesses. Please help us win the Awesome App Awards by voting for LivePlan.